Billy Graham was known throughout the world for his wisdom, counsel, and morals, but most of all he was known as a man of God and a preacher of the Gospel. Throughout his life, Rev Graham preached the message of Jesus Christ to some 215 million people who attended one of his more than 400 Crusades, simulcasts and evangelistic rallies in more than 185 countries and territories. He reached millions more through TV, video, film, the Internet and 34 books. “I have one message: that Jesus Christ came, He died on a cross, He rose again, and He asked us to repent of our sins and receive Him by faith as Lord and Savior, and if we do, we have forgiveness of all of our sins,” he said at his final Crusade in 2005. Billy Graham’s voice will not soon be forgotten. His energetic passion in his preaching was captivating. If you ever heard him preach, you can hear his voice exclaiming, “The Bible says…” – and that’s what made him different. His messages were grounded in Scripture, and his actions reflected those words. He spoke of Truth and never strayed from Biblical principles. When Rev Graham passed away on February 21, 2018, the whole world honored him. People from more than 50 countries attended his funeral service in February, as thousands more watched online from around the globe. Even through his passing, people were reached with the message of hope in Jesus Christ. 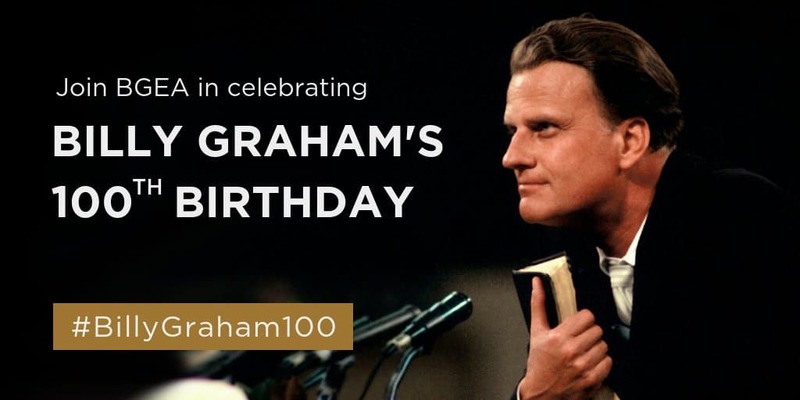 As this month would have been Mr. Graham’s 100th birthday, we are celebrating all that God has done through the life and ministry of Billy Graham and how that ministry continues today through the work of the Billy Graham Evangelistic Association. 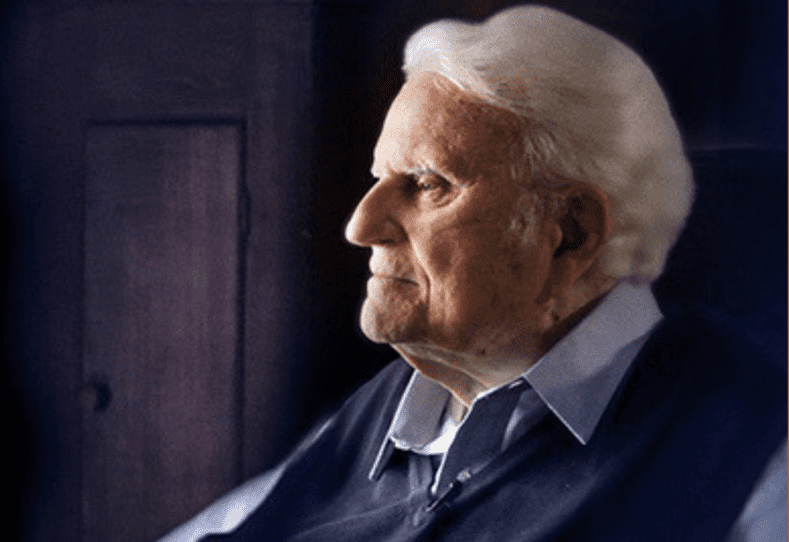 Below are five quotes that truly encapsulate what Billy Graham preached around the world: the Gospel of Jesus Christ. We encourage you to use this month to reflect on what God has called you to and how you can be obedient to that calling. A great online resource for buying devotionals, Bibles, and more is at www.billygrahambookstore.org. We have compiled a few special items for this month that show past, present, and the future of the Graham family ministry of taking the Gospel to the ends of the earth. Maybe one of these will be a source of inspiration to you. To learn more about the Billy Graham Evangelistic Association, visit billygraham.org.